Caracas, capital of Venezuela, is home to over 2 million people. This sprawling city nestled in a northern mountain valley is the commercial and cultural hub of the country. Caracas is famed for being the final resting place of Venezuelan independence leader and hero, Simón Bolívar, and boasts many architectural attractions, such as the 17th century Caracas Cathedral. Cheap flights to Caracas are now available for a limited period of time, so get ready to explore the art, culture and vibey nightlife this spirited city has to offer! Caracas is served by the Simón Bolívar International Airport (CCS) also known as Maiquetía "Simón Bolívar" International Airport. CCS is a 30-minute drive from the city centre. 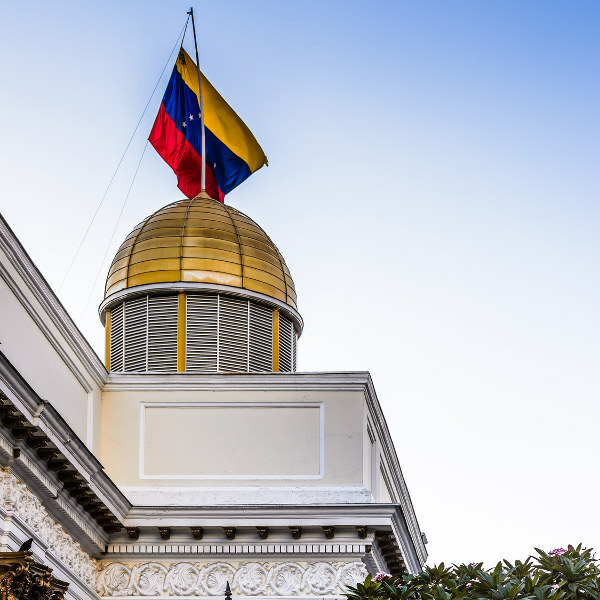 Check out the majestic Palacio Federal Legislativo, which houses the National Assembly, tour the beautiful 17th century Caracas Cathedral or visit the famous Caracas Museum of Contemporary Art. Explore the capital city’s wild side! Try paragliding, take a hike up the Avila Mountain trails or enjoy the view of the city on a trip up the mountain in a cable-car. 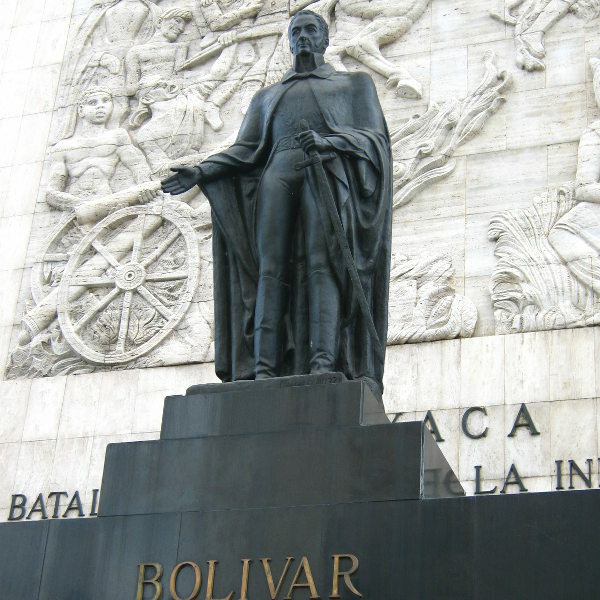 Caracas is the home and resting place of the beloved Venezuelan independence leader and hero, Simón Bolívar. Learn about the country’s unique history at museums and attractions around the city. February and March, the beginning of summer, are the peak tourism months for Caracas. Annually, during the last days of February and the beginning of March, the renowned Carúpano Carnaval takes place. Locals and tourists join this extravagant 4-day festival that attracts thousands of visitors to Caracas with its rhythmic music, street parties, concerts and colourful parades. The dry months of October and November are the city’s low travel season months. Travelling during this period is ideal because air-fares and accommodation are cheaper. During this time you can visit the popular Contemporary Art Museum and other attractions or enjoy live music at one of the various theatres or bars in the city. The pleasant weather conditions will also be perfect for a hike up the Avila Mountain on the northern side of the city. Caracas, capital of Venezuela, is a spirited city that offers the adventurous and brave explorer incredible art, a unique culture and a vibrant city to discover. This sprawling city is nestled in a northern mountain valley and often overlooked. Caracas is the famous resting place of Venezuelan independence leader and hero, Simón Bolívar, and boasts many architectural attractions such as the 17th century Caracas Cathedral. The northern part of the city sits at the foot of the Avila Mountain. 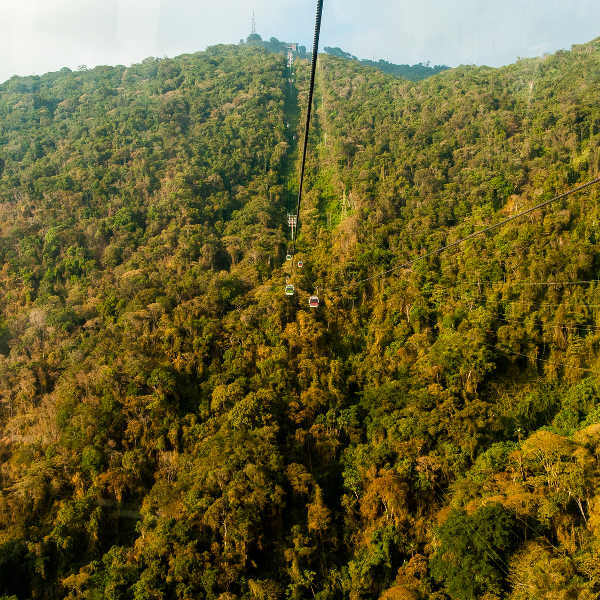 Adventurous tourists can enjoy paragliding, take a challenging hike up the mountain trails or enjoy the view of the city on a trip up a cable-car. Spend a day sightseeing at the Parque del Este that hosts a planetarium, a small zoo and the Museum of Contemporary Art. Alternatively, take a walk through the charming cobblestoned streets of the beautiful El Hatillo neighbourhood that hosts multiple shops, bars and restaurants or enjoy some retail therapy at the Bulevar de Sabana Grande shopping avenue in the city centre. Compare several airlines, and book your cheap flights to Caracas online at Travelstart! Make sure your routine vaccines that include the MMR vaccine, DPT, Chickenpox, Polio and yearly flu shots are updated before travel. It is recommended that you get yellow fever and malaria vaccines because Venezuela is still a risk area for these diseases. Rabies can be found in dogs, bats and other mammals in Venezuela. If you will be involved in activities like camping or if you plan on working with or around animals it is recommended that you get vaccinated. Being the capital city of the country, Caracas has a high rate of petty and violent crime. This means you should constantly pay attention to your surroundings and practice safety precautions like keeping your valuables and important documentation stored safely at your hotel and watching out for pick-pockets and potential robbers in the city centre and busy bus or train stations. Avoid flashing your valuables, wearing expensive clothes and try to carry a cheap decoy phone and wallet (with minimal amounts of money) in case you are robbed. Stick to tourist areas and at all costs avoid the barrios, the poor neighbourhoods located on the hills of west Caracas, as they are extremely dangerous.